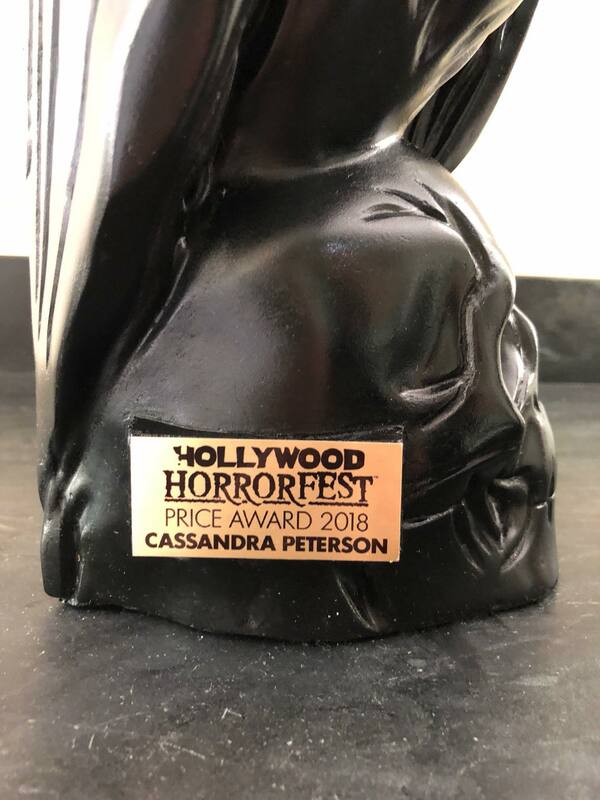 It’s great to read that CASSANDRA PETERSON’S PRICE AWARD meant so much to her, as it meant so much to everyone here at HOLLYWOOD HORRORFEST too. We couldn’t have had a funnier and more gracious Honoree than Ms PETERSON this year. 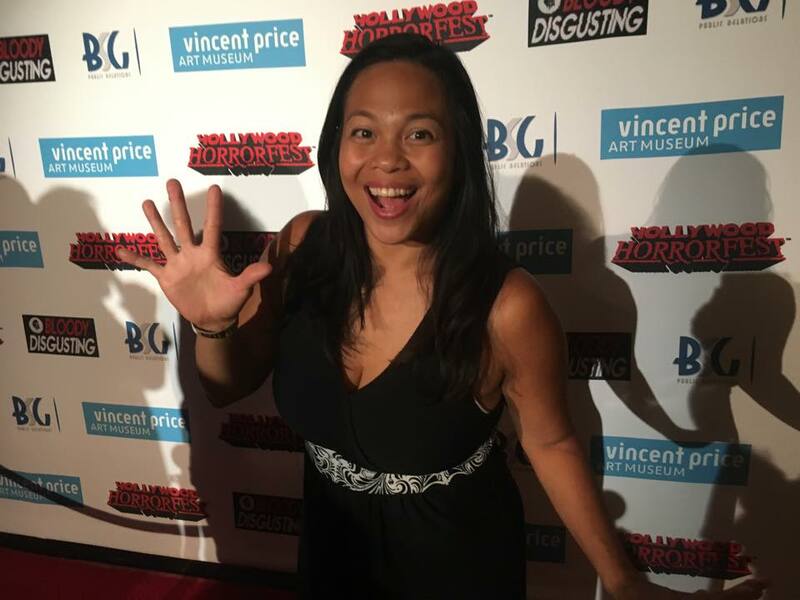 Thanks CASSANDRA for making 2018 a great return for HHF! 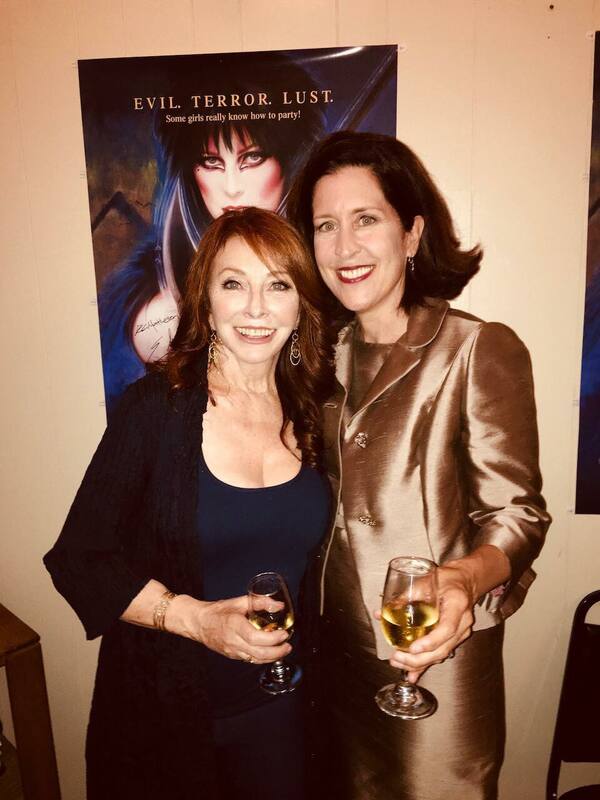 You created the iconic ELVIRA and for that we salute you! 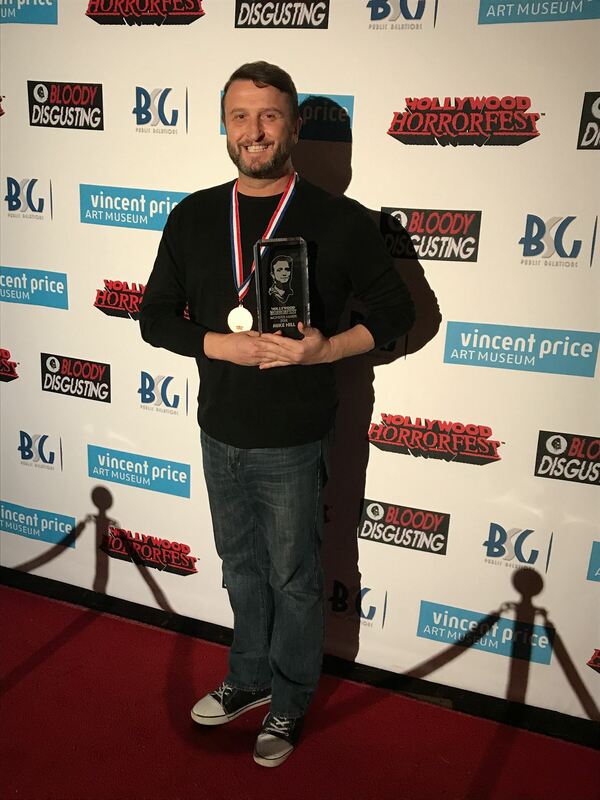 Thanks also to VICTORIA PRICE, RYAN WHEARTY and HALEY WHO for helping create this amazing award and of course to the great man himself, VINCENT PRICE. 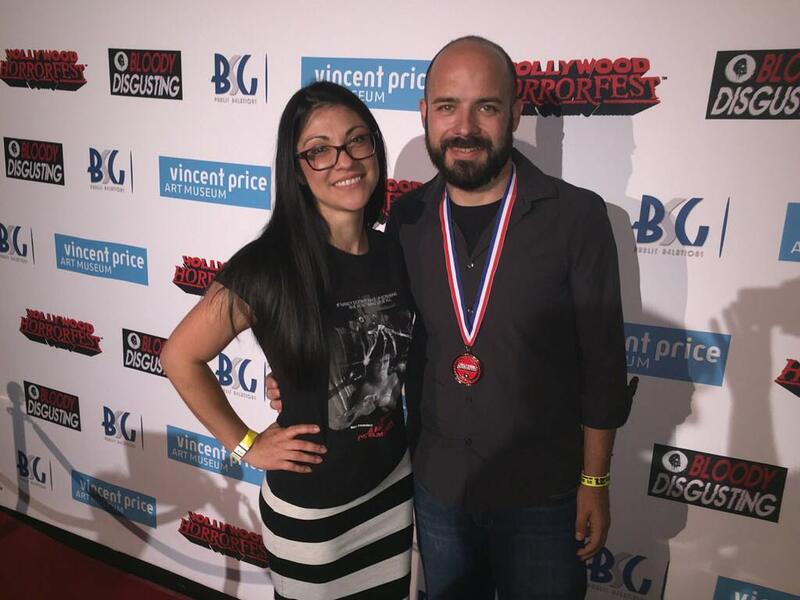 From the Prince of Horror to the Queen of Horror. 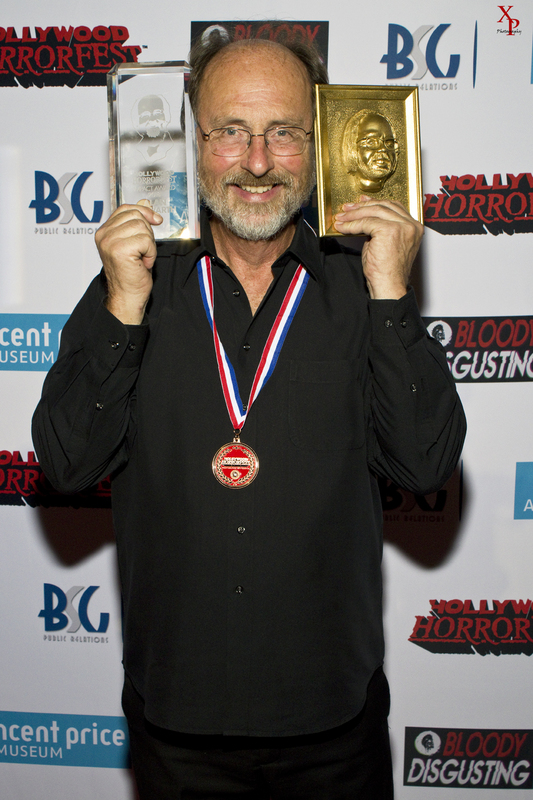 Hollywood’s go-to Sculptor and Creature Designer of the Oscar winning SHAPE OF WATER, MIKE HILL, receives the first ever MONSTER MAKER OF THE YEAR AWARD at HOLLYWOOD HORRORFEST 2018. 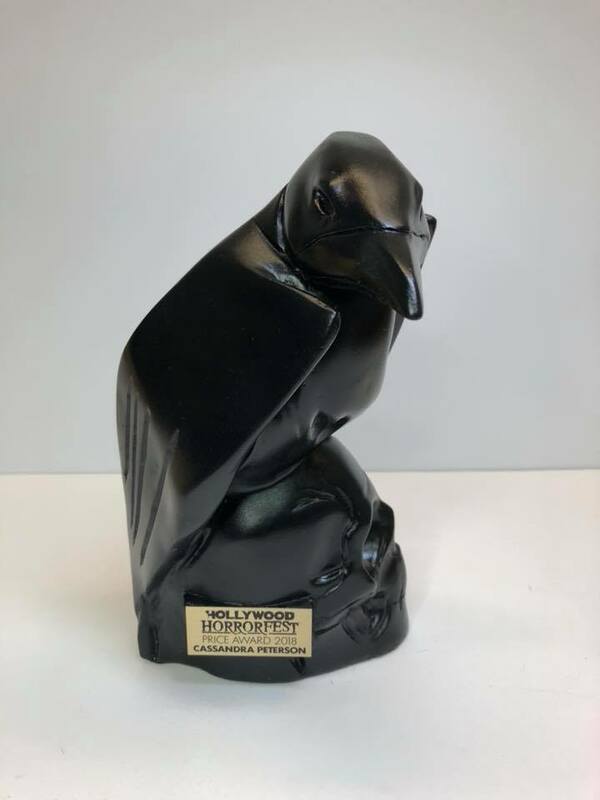 Given to a Monster Maker whose work is of particular importance the year of the festival, the award is in recognition of MIKE’S wonderfully rendered amphibious creature, the first ever classic monster to be in an Oscar Winning Feature Film. 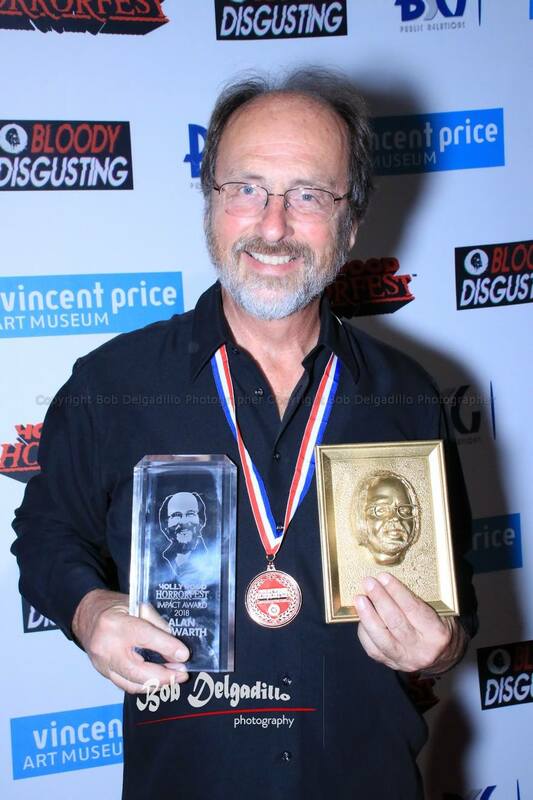 Congratulations MIKE, whose impressive resume includes sculpting for THE WOLFMAN, MEN IN BLACK 3 and APOCALYPTO. 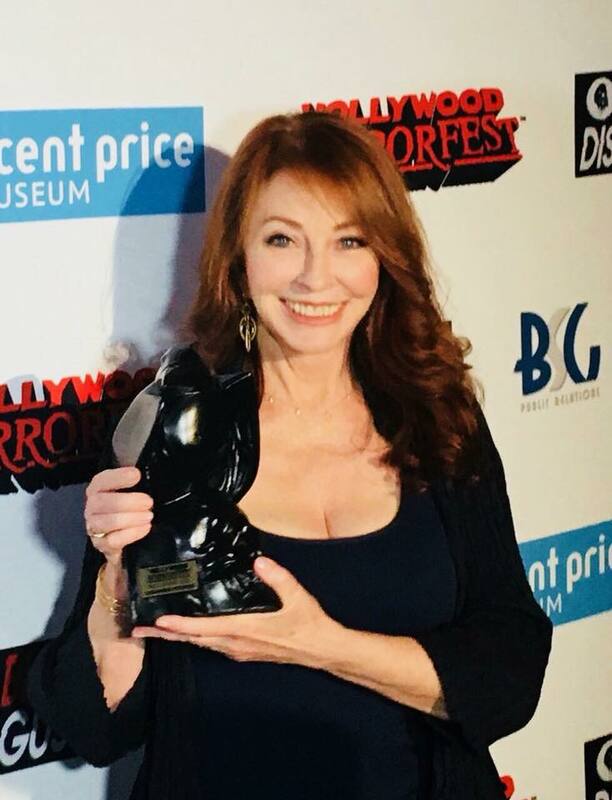 Living legend CASSANDRA PETERSON, last week was honored with the prestigious PRICE AWARD, at a SOLD OUT HOLLYWOOD HORRORFEST. 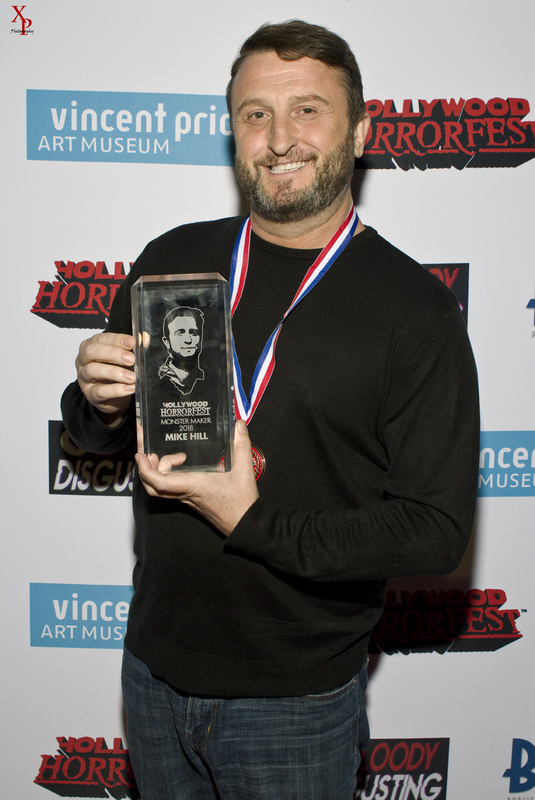 Given to an artist whose work has achieved iconic status in the horror genre, the award was presented by both VICTORIA PRICE (through a digital presentation) and in-person, by R.C MATHESON (son of legendary writer RICHARD MATHESON). R.C’s father wrote many of the VINCENT PRICE screenplays that were so wonderfully parodied in ELVIRA’S HAUNTED HILLS. 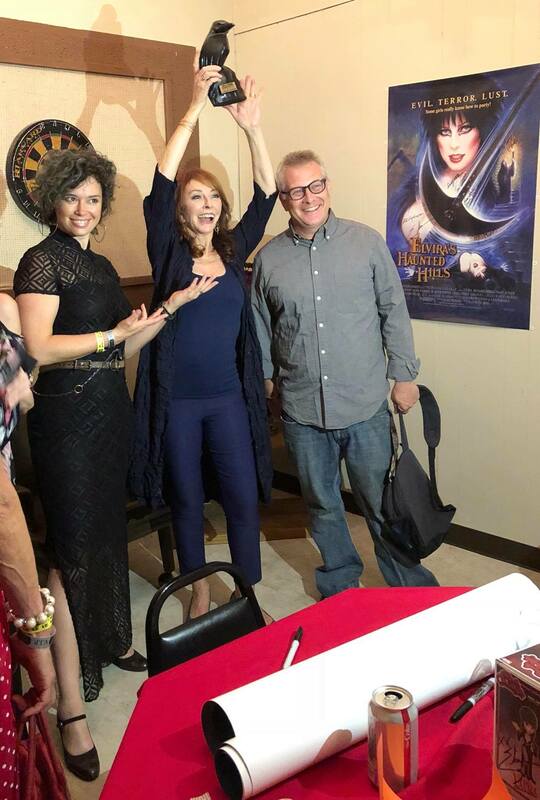 The presentation was followed by a screening and cast & crew reunion of the cult classic ELVIRA’S HAUNTED HILLS. 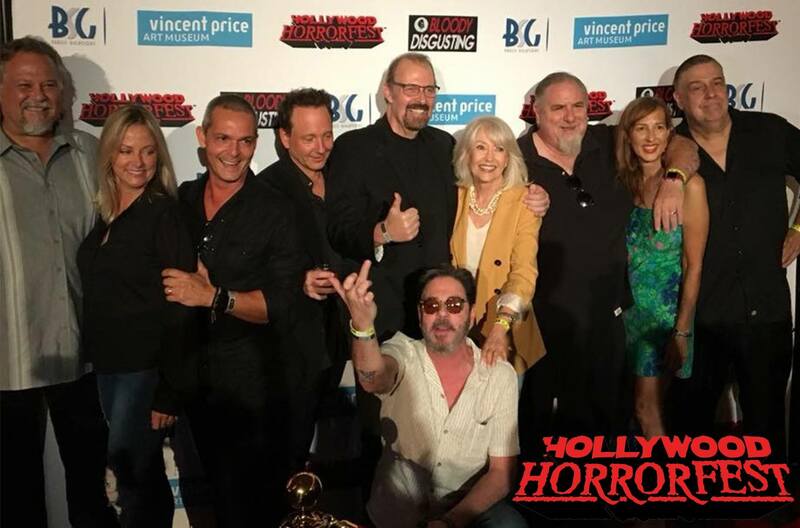 All making the Opening Night of HOLLYWOOD HORRORFEST one very special evening. 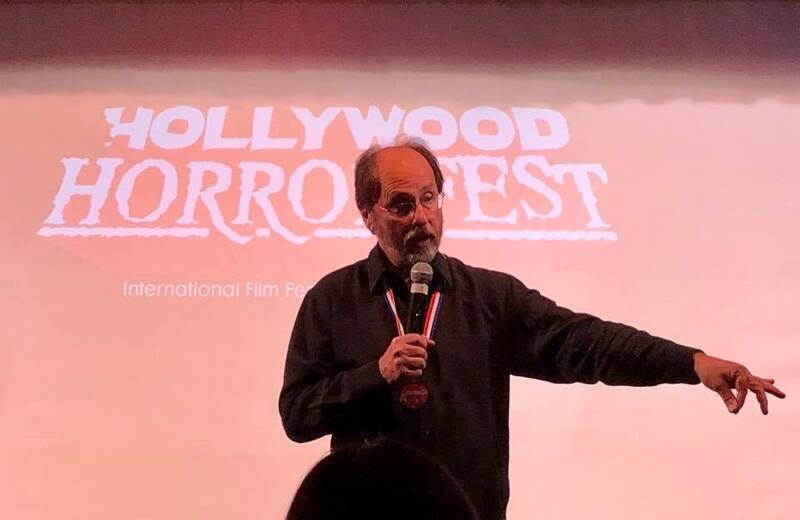 ALAN HOWARTH received HOLLYWOOD HORRORFEST’S career honoring IMPACT AWARD last weekend and played a live set of Carpenter/Howarth classics from the likes of HALLOWEEN, ESCAPE FROM NEW YORK, BIG TROUBLE IN LITTLE CHINA and THEY LIVE to name but a few. 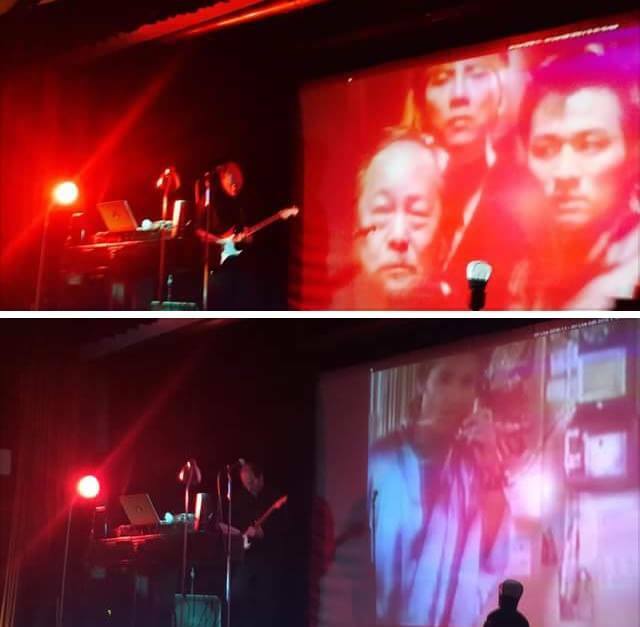 An amazing night was had by all. 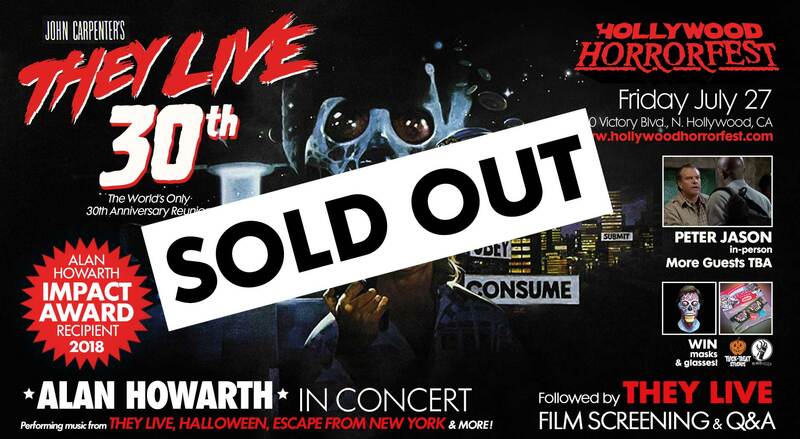 Followed by a 30th Anniversary screening of THEY LIVE and a Q&A with HOWARH, THEY LIVE editor GIB JAFFE and THEY LIVE P.A WHITNEY SCOTT BAIN. 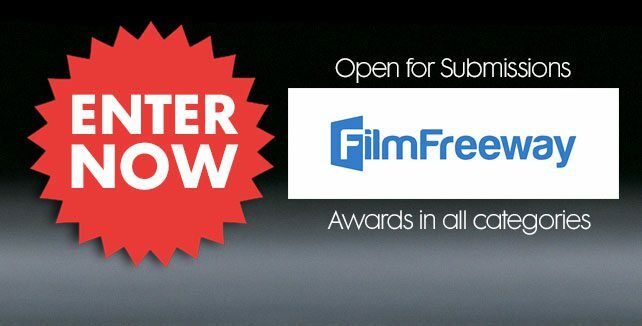 Join us for 2 full programs of the best horror shorts in competition for FREE. Snacks, full bar, vendors and much more all afternoon. Click on the images below to reserve your FREE tickets. From Noon till 3 it’s totally FREE! 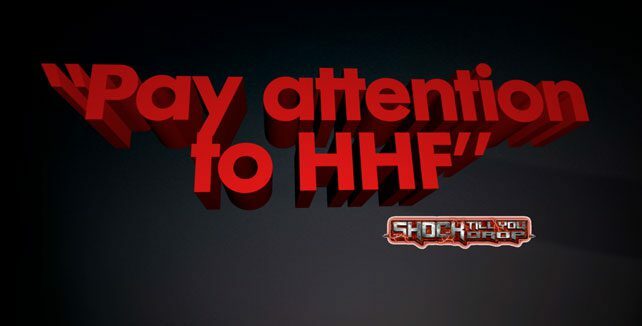 Find more FREE screenings on our TICKETS page and enjoy the best in world horror. Tickets for these and all our events are now available through our TICKETS page. Only those events labelled as FREE are FREE. All others are priced. 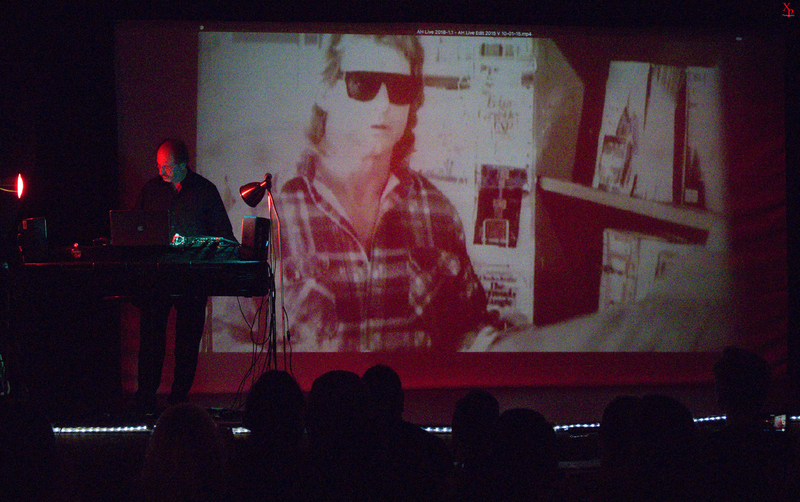 Reserve your ticket for all events in advance, before they sell out (even the FREE events). 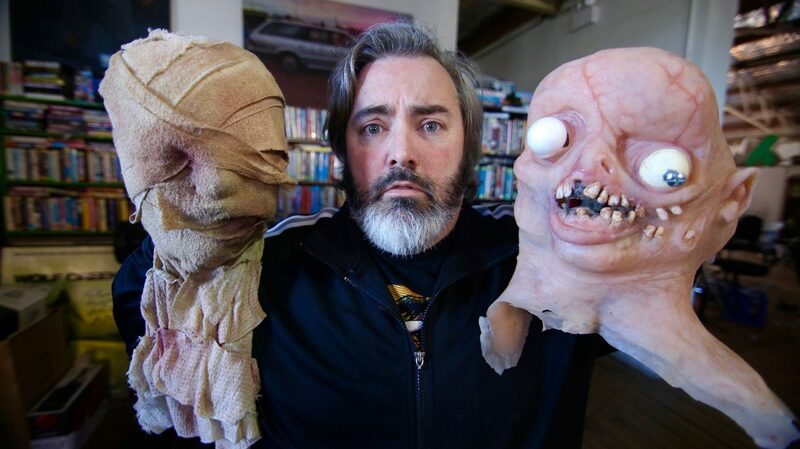 Learn everything you’ve ever wanted to know about indie horror filmmaking but were afraid to ask. Seriously. 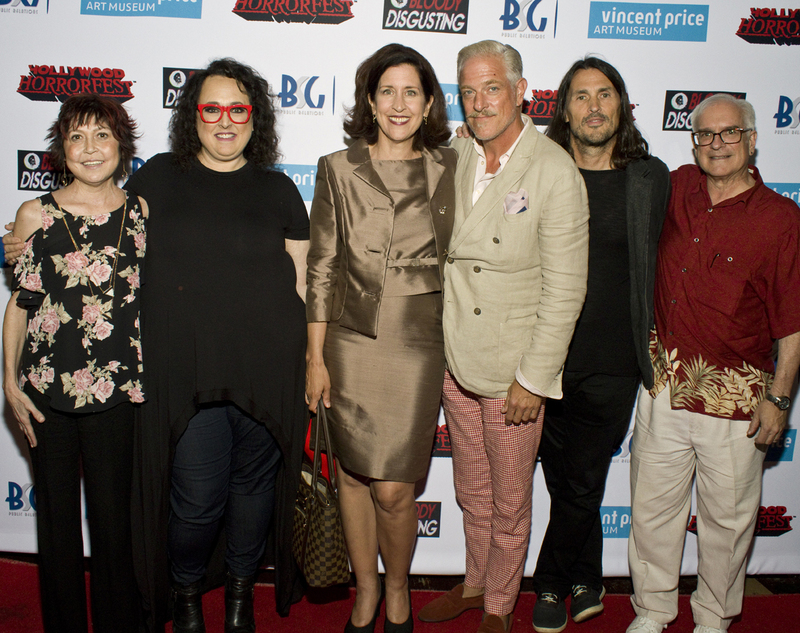 A PANEL TO DIE FOR features a host of horror industry insiders laying bare the often hidden truths of the business. Learn how much a film can make, how to pick the most sellable subject matter and most importantly what you should never ever do. If there’s only one panel you should see before making your next movie it’s this. 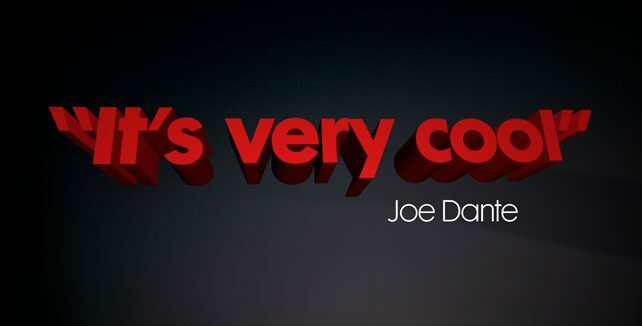 Come with business cards and lots of questions. The panel includes acclaimed Writer/Director Rodney Ascher (ROOM 237), Producer Ed Polgardy (GHOSTMAKER), Distributor Vince D’Amato (DARKSIDE RELEASING), Aggregator Nadav Streett (RISING SUN MEDIA, INC), Writer/Director Rolfe Kanefsky (PARTY BUS TO HELL), Indie Director Jason Rutherford (SHHHH), Marketing Consultant Matt Chassin, Distributor Erik Lundmark (LEOMARK STUDIOS), Producer Lotti Knowles (CHASTITY BITES), and is moderated by Writer/Producer Mike Davis (PRESIDENT WOLFMAN) for 2 hours of career-changing knowledge. We kid you not. 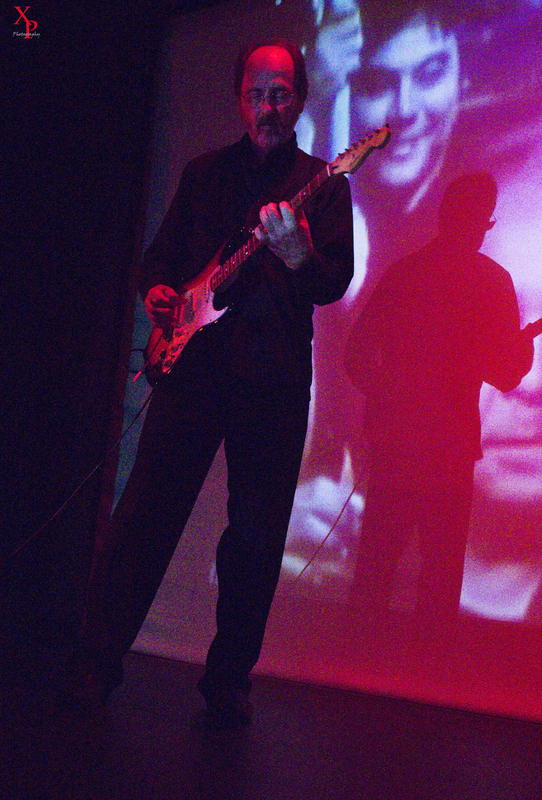 Tickets are FREE on a first come first served basis and will be available on the door and online. 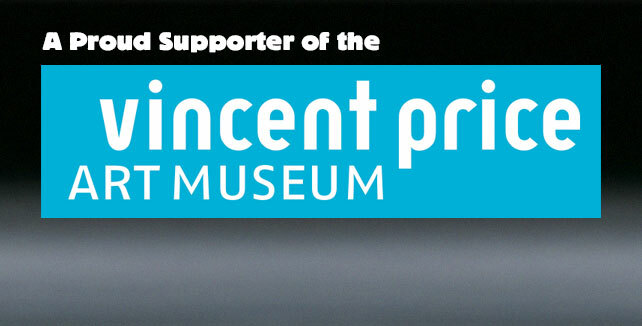 But we advise reserving your ticket online (tickets will be held till only 15 minutes prior to each event). 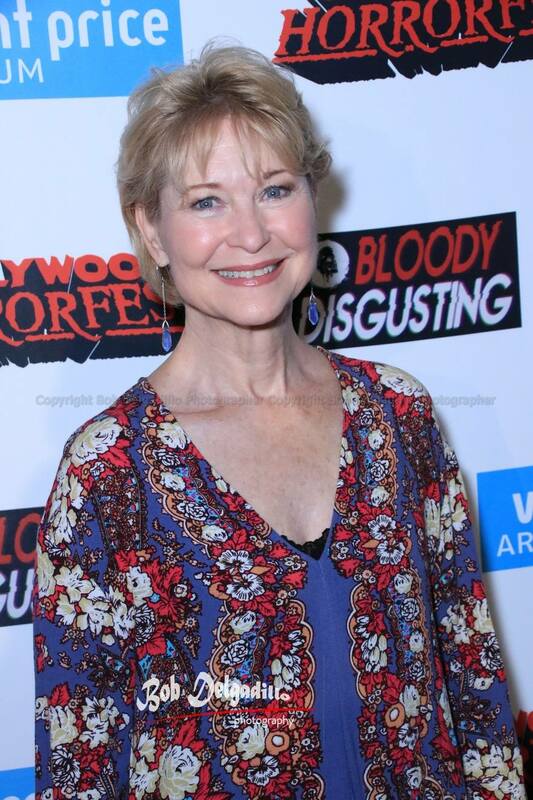 Acclaimed actress and Horror icon DEE WALLACE (E.T, Cujo, The Howling) joins the cast & crew of a film every aspiring horror filmmaker should watch – “HORROR MOVIE: A Low Budget Nightmare” – which has its US premiere at HOLLYWOOD HORRORFEST on Sunday July 29 in N. Hollywood. 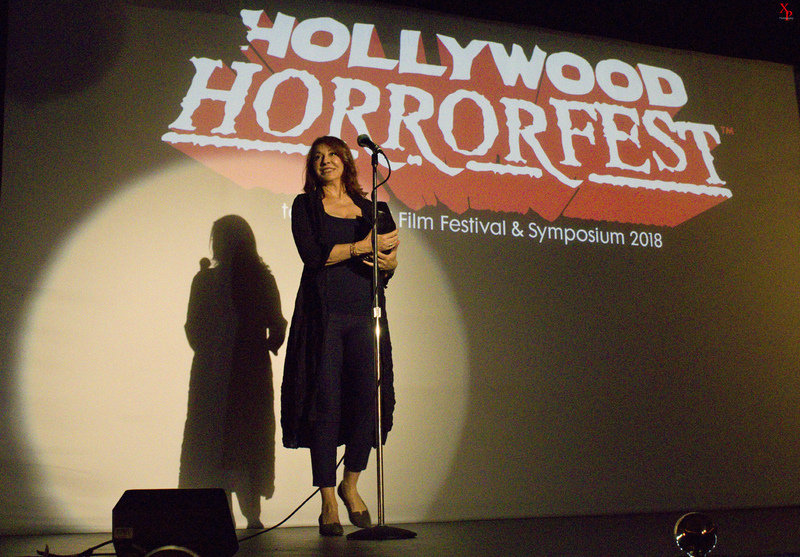 Committed to helping new filmmakers learn more about the indie horror business, HOLLYWOOD HORRORFEST will be screening this highly acclaimed and incredibly insightful documentary for FREE. 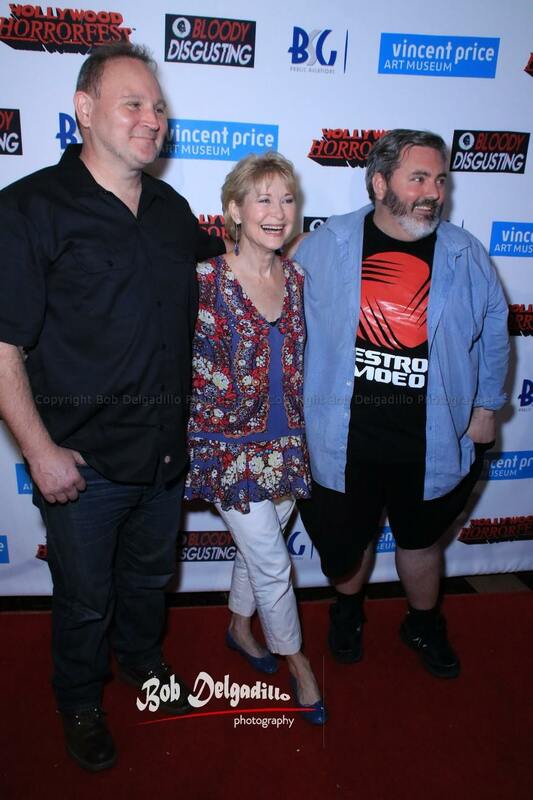 It will be followed by a Q&A with DEE WALLACE and the Director & crew. The festival’s own A PANEL TO DIE FOR (P2D4), featuring industry insiders giving advice on how to best make and distribute your low budget masterpiece, also for free, will follow. horror movie “Red Christmas” – a quaint story about a murderous aborted fetus. 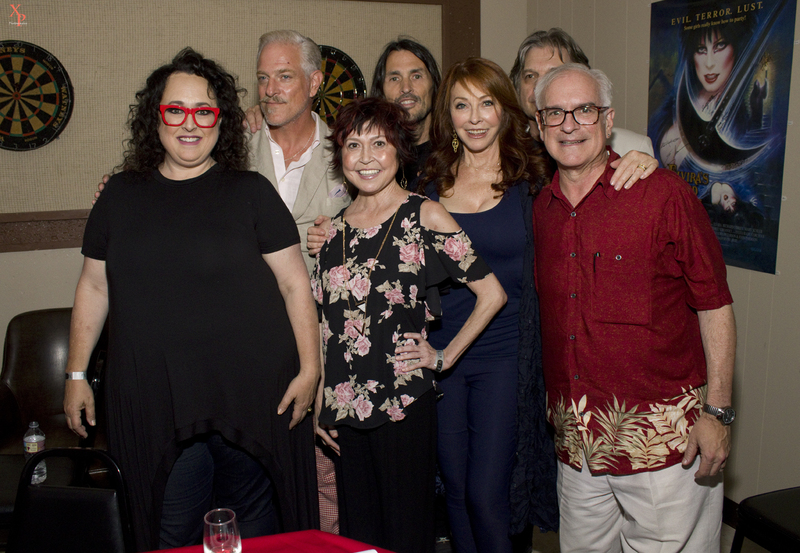 The documentary dramatically follows Anderson’s emotional rollercoaster ride funding, directing and finally trying to sell his dream movie to an industry he knows little about. 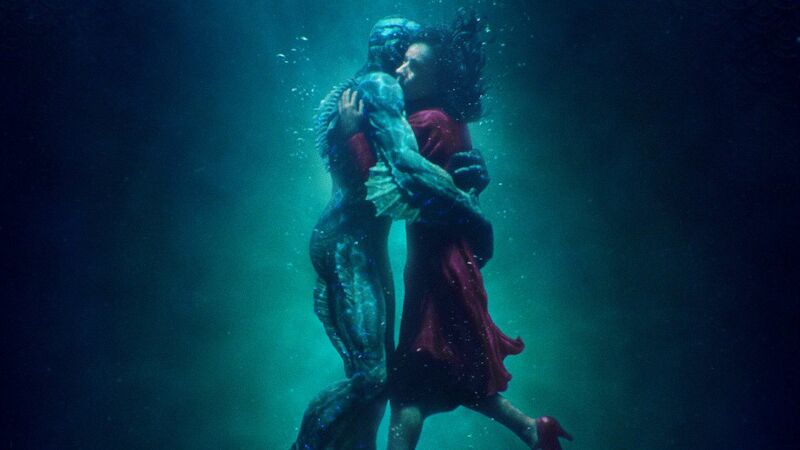 It’s indie film-school 101 captured in a engrossing (and at times gross) tale of wide-eyed dreamers, Hollywood scream queens and a vengeful fetus at Christmas.